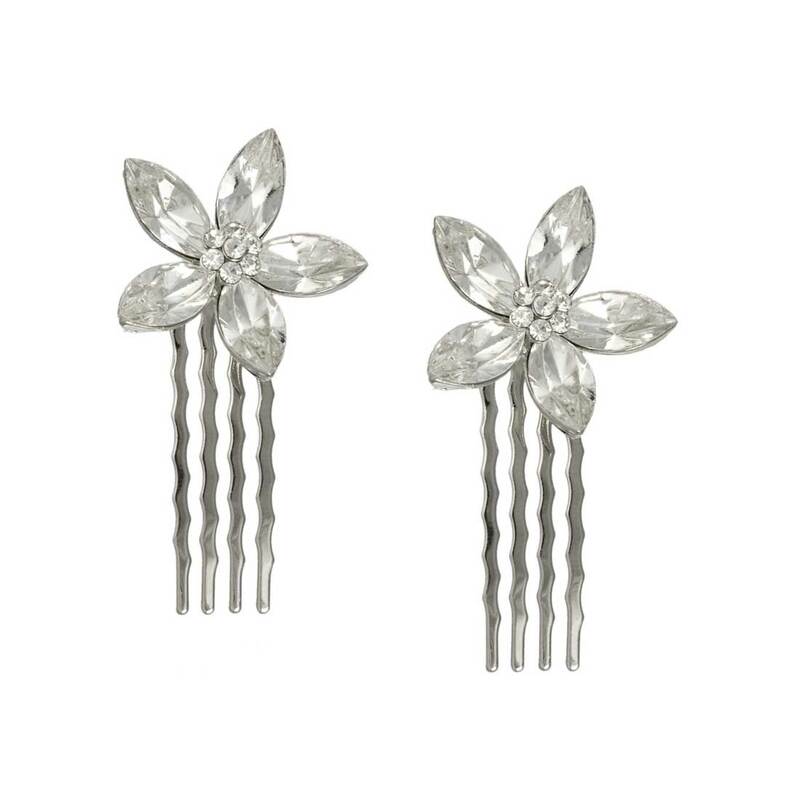 Scatter this pair of Austrian crystal flower hair combs through your hair for subtle shimmer. Exquisite silver tone hair combs each featuring five sparkling clear marquise Austrian crystals which form a pretty flower. Wear pinned into an up-do or loose tumbling tresses or for divine and dazzling style wear several pairs scattered throughout. 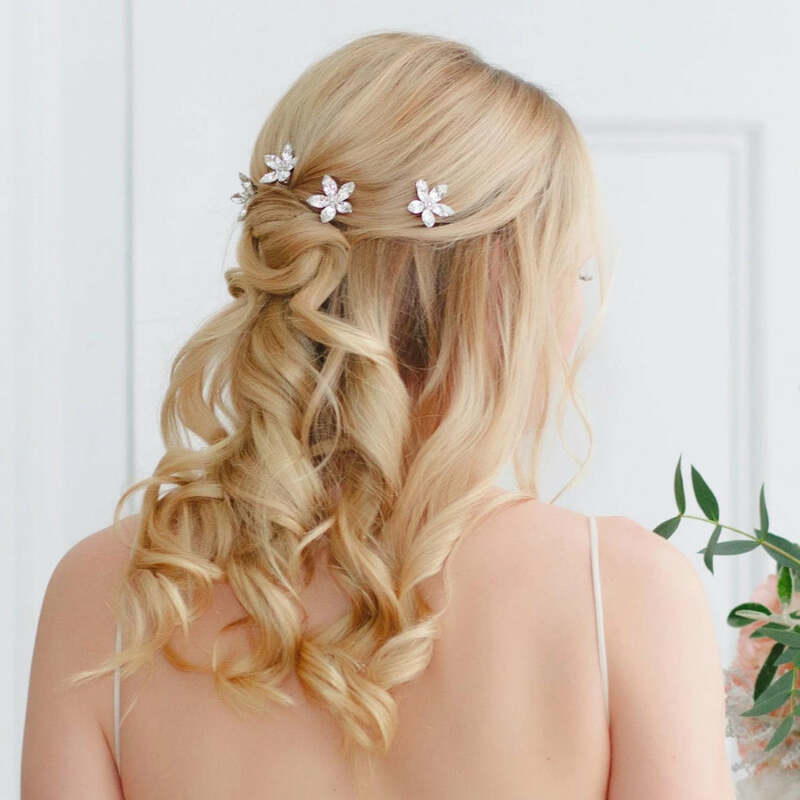 Perfect wedding hair combs for brides and very pretty hair accessories for bridesmaids too.